Go to Control Panel and click on Network Connections. Right click on the wireless connection and choose properties. 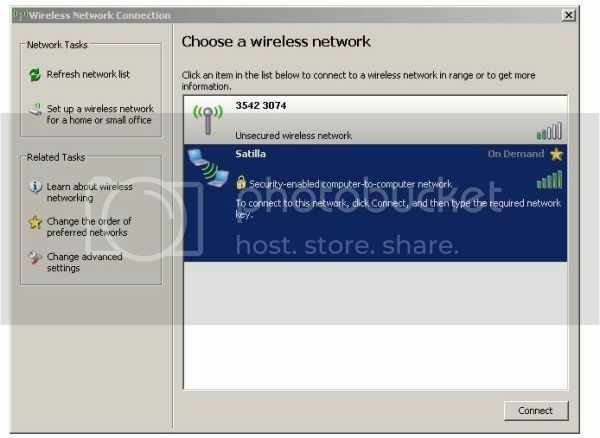 Now, under the wireless networks tab check the box ‘Use Windows to configure my wireless network settings’. Under Preferred networks click ‘Add’. In the Network Name (SSID) box enter the name of your WiFi network that you want to create. Under Network Sharing, select the shared option. If you want your WiFi connection to be encrypted then select WEP under data encryption. Enter the password for your WiFi network in the network key box and the confirm network key box. Click ‘ok’. Now you should the created WiFi network in the box called preferred networks. Now, click on Advanced. Under Networks to Access, tick the option ‘Computer to Computer (ad hoc) networks only’ and click on Close. Now, click ‘ok’ to close the window and apply all settings. Lastly, you need to change a setting in your wires internet connection. Go to Network connections and right click on Local Network Connection and select properties. Click on the Advanced tab. Under Internet Connection Sharing, tick the box ‘Allow other network users to connect through this computers’ internet connection’. Make sure that the box underneath it is not selected. If you check the second option then someone else who can login can change the settings. Click ‘ok’ to apply settings and close the box. That’s it! Now, you should be able to find the WiFi network on any other computer that can connect to WiFi.